As modelled by our very own Century Bob ! For training, sweating, rolling around and generally treating very badly! 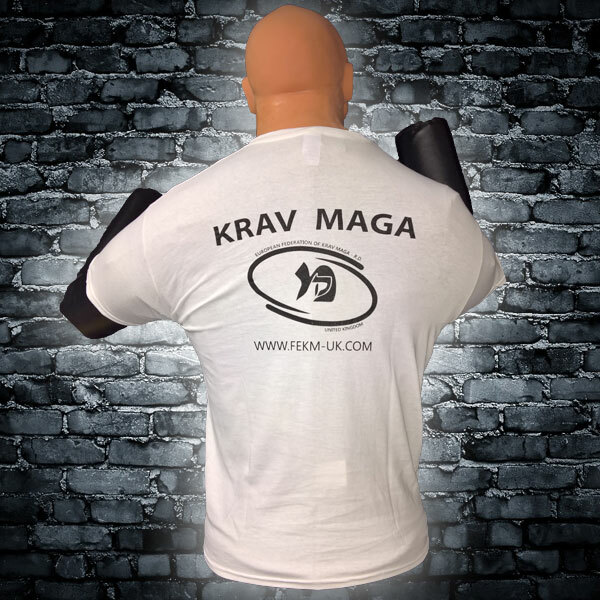 Made of heavyweight cotton and screen printed with the Official FEKM-UK logo you can be sure that your Krav Maga T-Shirt will last for years!! Great t-shirt. Hard wearing and does the job. Ordered this the other day and it arrived very quickly. Very durable, high-quality materials and I’ve promptly ordered another shortly after receiving this, which should tell you a lot. Recommended. Nice thick material, very endurable and comfortable. Like a Woman I am impressed of the material of the T-shirt which after so much washing has not yet dissipated. 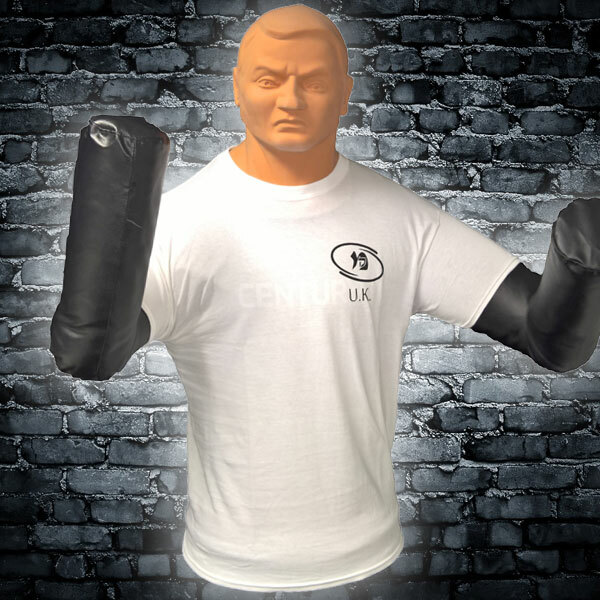 Nice T shirt, comfortable good quality material that lasts endless hours of training. Thick cotton, you can grab your partner, pull and it won’t rip. Very comfortable to wear. Nice thick cotton tshirt to work out in, great value. Doesn’t wear out easily, ideal for heavy use. Good hard wearing t-shirt. Fits well. Very comfortable and good quality materials. Great t-shirt. Comfortable and does the job. I like the quality of the T-shirts. very good quality cotton T-Shirts. very comfortable.